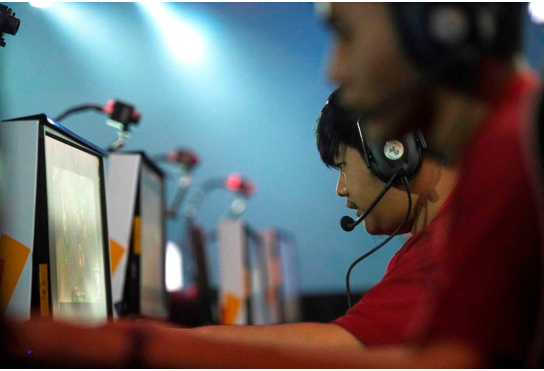 "In e-sport, fraud and match fixing are the main threats to the integrity of sports"
With the growth of e-sport, we have seen an increasing challenge with match fixing - that is, matches that are decided in advance, by players who have decided to lose on purpose. Other forms of cheating have also been revealed and even tournaments in Asia have been spoiled by doping scandals in the form of players who have taken Ritalin to increase concentration. The medicine Ritalin is typically used by ADHD patients, but in recent years it has become known to get the brain to "drive in high gear" and therefore also used for exam joining. "At home we have had trouble finding the smoking gun, but we have been able to see that there have been some irregularities," explains Thomas Koed.Developments from abroad, however, are clear. In 2016, a Korean top player was arrested and sentenced to 18 months in prison to lose weight on purpose. Ian Smith is a lawyer for the Esports Integrity Coalition (ESIC) organization and put in the world to fight cheating and cheating in e-sports. In an interview with the Guardian earlier this year , he expressed that cheating is an increasing challenge. "In e-sport, fraud and match fixing are the biggest threats to the sport's integrity," he says, pointing out that in China, the illegality is extensive. According to the American analyst Newzoo , the global economy of e-sport in 2017 had a value of 4.5 billion. DKK and attracted around 385 million. viewers all over the world.Danske Games's revenues from e-sports betting in total increased from 2016 to 2018 by 324 per cent. Danske Spil expects a turnover this year around 140 mio. DKK . At our latitude, Esport Denmark, which represents 4,000 executive e-sports players, establishes an impartial disciplinary and appeal committee to meet the new challenges. "We are establishing the rules and frameworks for e-sports. It has not been seen before and it is unique to the whole world. We want that responsibility to take on the whole industry, "says Thomas Koed and continues. "We are building a high rise, where the summit is heavy and has a lot of money, while the rest of the house is fragile. The foundation is simply not built up. "Esport Denmark has selected two individuals, Adam Ringsby-Brandt, lawyer from Bertel Rasmussen Advocates, and Kasper Nemeth, former employee of Danske Spil, in charge of building the disciplinary committee. At the same time, Esport Denmark and Anti Doping Denmark are entering into a cooperation agreement, which has been approved by the Ministry of Culture. "When it comes to match fixing, cheating and doping, it is important to root down rules and behavior in e-sport in Denmark based on the legal rules that lie," says Michael Ask, Director of Anti Doping Denmark in a statement.